Federal Communications Commission Chairman Ajit Pai will bring his proposal to rollback Obama-era Net Neutrality rules to a vote at the commission's December 14th meeting. Pai is calling his proposal the "Restoring Internet Freedom Order," which he believes will usher in a new era of investment for Internet infrastructure. “For almost twenty years, the Internet thrived under the light-touch regulatory approach established by President Clinton and a Republican Congress. 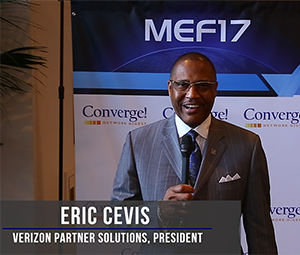 This bipartisan framework led the private sector to invest $1.5 trillion building communications networks throughout the United States. And it gave us an Internet economy that became the envy of the world. But in 2015, the prior FCC bowed to pressure from President Obama. On a party-line vote, it imposed heavy-handed, utility-style regulations upon the Internet. That decision was a mistake," stated Pai. 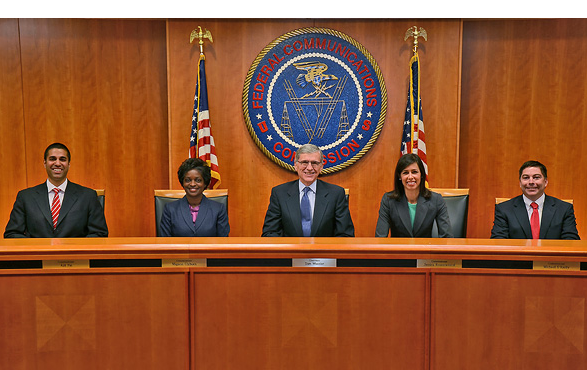 FCC Commissioner Jessica Rosenworcel issued the following response: “Today the FCC circulated its sweeping roll back of our net neutrality rules. Following actions earlier this year to erase consumer privacy protections, the Commission now wants to wipe out court-tested rules and a decade’s work in order to favor cable and telephone companies. This is ridiculous and offensive to the millions of Americans who use the Internet every day. Our Internet economy is the envy of the world because it is open to all. This proposal tears at the foundation of that openness." Verizon continues to experience heavy WAN bandwidth growth. 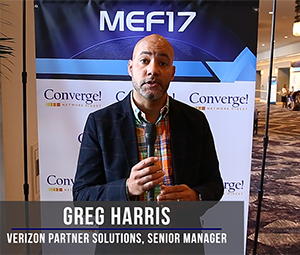 Greg Harris, Senior Manager, Verizon Partner Solutions, talks about the new SD-WAN service and the factors driving customer demand. 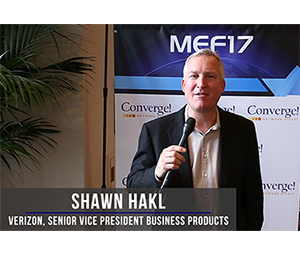 MEF 3.0 brings together all of the components that are needed to be successful in advanced services, says Shawn Hakl, Senior Vice President, Business Products, Verizon. Here is his perspective. 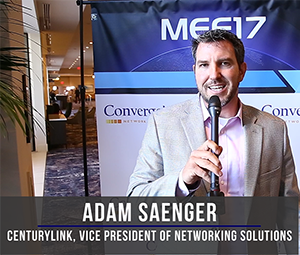 Adam Saenger, VP of Networking Solutions at CenturyLink, talks about advanced services now that the company has completed its strategic merger with Level 3 Communications. Meg Whitman will step down as Chief Executive Officer of HPE, effective February 1, 2018. Antonio Neri, current President of HPE, will become President and Chief Executive Officer, and will join the HPE Board of Directors. Whitman will remain on the Board of Directors. Whitman joined HP in 2011. During her tenure, Whitman led the company's separation from HP Inc., which was the largest corporate separation in history. She also led the subsequent spin off and mergers of HPE’s Enterprise Services and Software businesses, as well as strategic acquisitions including Aruba, SGI, SimpliVity and Nimble Storage. Neri, 50, joined HP in 1995 as a customer service engineer in the EMEA call center. He went on to hold various roles in HP’s Printing business and then to run customer service for HP’s Personal Systems unit. In 2011, Neri began running the company’s Technology Services business, then its Server and Networking business units, before running all of Enterprise Group beginning in 2015. Separately, HPE reported Q4 net revenue from continuing operations of $7.7 billion, up 5% from the prior year and up 5% when adjusted for divestitures and currency. Fourth quarter GAAP diluted net EPS from continuing operations was $0.23, up from GAAP diluted net EPS from continuing operations of $0.19 in the prior year. Enterprise Group revenue was $6.9 billion, flat year over year, up 1% when adjusted for currency, with a 10.6% operating margin. Servers revenue was down 5%, down 5% when adjusted for currency, Storage revenue was up 5%, up 5% when adjusted for currency, Networking revenue was up 21%, up 21% when adjusted for currency, and Technology Services revenue was up 2%, up 3% when adjusted for currency. Financial Services revenue was $1.0 billion, up 24% year over year, net portfolio assets were up 1%, and financing volume was flat year over year. The business delivered an operating margin of 7.7%. “With strong top line revenue growth, earnings above our previous outlook and our second consecutive quarter of sequential margin improvement, our fourth quarter results are a reflection of the progress we have made over the past two years to transform HPE into a nimble, focused and innovative organization,” said Meg Whitman, CEO of HPE. France-IX, the leading Internet Exchange in France, has deployed the Coriant Groove G30 Network Disaggregation Platform in major data center sites in the Paris metro area to support high-capacity, low latency nx100G optical connectivity. Initially, three data center sites were connected this summer. The deployment will continue on the entire France-IX backbone during 2018. 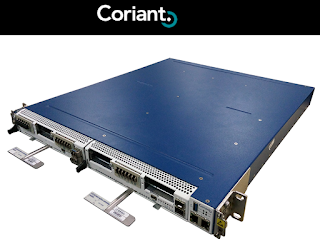 Coriant said its G30 solution enables France-IX to simplify network operations and deliver affordable 100G services to its member community, which includes major carriers, high-growth international carriers, public cloud providers, content delivery networks, content and hosting service providers, as well as video game developer and digital distribution companies. Talari Networks, which specializes in SD-WAN solutions, named Patrick Sweeney as its new Chief Executive Officer, replacing Mark Masur, who will remain as chairman on Talari’s board of directors. Previously, Sweeney served in multiple executive roles over his 16 years at SonicWall and Dell. Sweeney helped take network security company SonicWall private under Thoma Bravo in 2010, and in 2012 sold the company to Dell where he served as Vice President of Security Marketing in the Dell Software Group. In 2016, Sweeney helped spin out SonicWall from Dell as an independent company under private equity firm Francisco Partners. Talari is based in San Jose, California. The Google Cloud Platform (GCP) is trimming the cost of NVIDIA Tesla GPUs attached to on-demand Google Compute Engine virtual machines by up to 36 percent. In US regions, each K80 GPU attached to a VM is priced at $0.45 per hour while each P100 costs $1.46 per hour. This lowers the cost of running highly parallelized compute tasks on VMs and GPUs. GCP is also lowering the price of preemptible Local SSDs by almost 40 percent compared to on-demand Local SSDs. In the US this means $0.048 per GB-month. 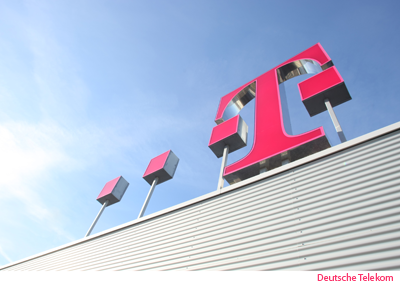 Deutsche Telekom announced an international partnership with Netflix covering all Deutsche Telekom subsidiaries. Netflix is now available in 4K to EntertainTV customers in Germany. Additionally Deutsche Telekom customers in Germany, Poland, Croatia, Greece and Romania can get unlimited streaming of Netflix over mobile networks with the participation of Netflix in the respective video zero rating offers (StreamOn) providing Deutsche Telekom customers the ultimate mobile video experience. Eutelsat Communications’ EUTELSAT 172B satellite, which was launched in June, went into full commercial service covering a vast region stretching from the West coast of the Americas to Asia, Oceania and across the Pacific. 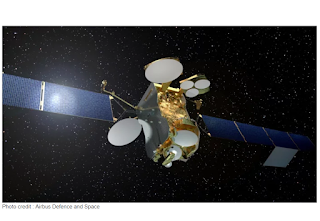 EUTELSAT 172B, which is the fastest satellite to reach geostationary orbit using electric propulsion (in only four months) is optimised for in-flight connectivity across the Pacific and offers 11 spotbeams. Panasonic is the major client of the High Throughput Service (HTS) payload. EUTELSAT 172B also offers C-band capacity as well as flexible Ku-band capacity spread across five interconnecting Widebeam service areas. Ku-band can be used for maritime, video, enterprise, cellular backhaul and government services, or as an overlay to deliver live television to passengers in flight. Deutsche Telekom and the Fraunhofer-Institute for Material Flow and Logistics IML have opened an IoT lab in Dortmund, Germany. The Telekom Open IoT Lab will host up to six scientists from Fraunhofer IML and three IoT experts from Deutsche Telekom to develop and test industrial Internet of Things (IoT) solutions and get them market ready. The research will concentrate on solutions based on NB-IoT technology.